Osteitis is recognized as a common factor in recalcitrant chronic rhinosinusitis (CRS). There is evidence for the association of osteitis with revision surgeries and CRS severity, in terms of higher Lund-Mackay scores. This is a narrative review on the osteitis in CRS patients. Evidence to date is inconclusive with regard to the etiology and pathogenesis of this bony thickening. Histopathology of osteitis in primary CRS is likely a process of neo-osteogenesis and bone remodeling. 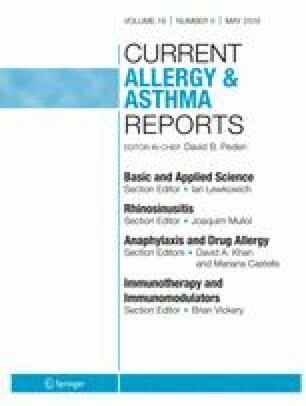 For better understanding, various associating factors have been studied including an inflammatory pattern of rhinosinusitis. Recent studies have associated osteitis with nasal polyps and tissue eosinophilia with the increase in periostin expression and P-glycoprotein mucosal expression. There is no association of osteitis to symptoms or quality of life. Osteitis is an outcome of neo-osteogenesis rather than inflammatory processes in CRS patients without a prior history of surgery. While CT has become a staple in osteitis assessment, the standards for grading osteitic severity remain in an experimental stage. There is no association between the presence or severity of osteitis at the time of surgery and clinical outcomes at 1 year after surgery. This review provides a comprehensive overview of the pathogenesis, epidemiology, and correlation with clinical and biological factors of osteitis in CRS patients. Kornkiat Snidvongs has served speakers’ bureau for the Merck Sharp Dolme and Menarini. Raymond Sacks is a consultant for the Medtronic and Olympus and speakers’ bureau for Seqiris Pharmaceutical. Richard J Harvey is a consultant with the Medtronic, Olympus, and NeilMed pharmaceuticals; he has been on the speakers’ bureau for the GlaxoSmithKlin, Seqiris, and Astra Zeneca.